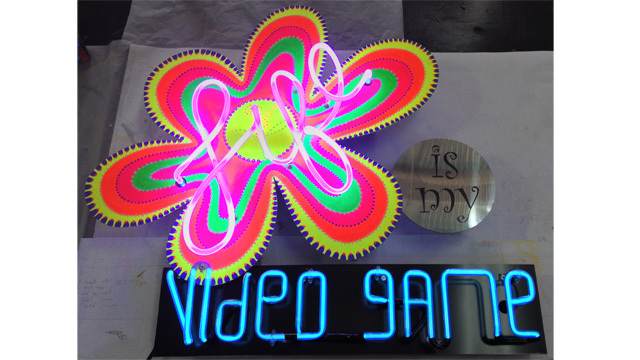 Life is my Video Game | Sanford Neon! 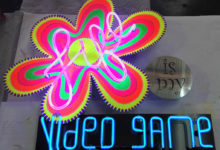 Life is my Video Game is my creation for Bits & Bytes group show at ZaPow Gallery. I had ideas for video game pieces, but couldn’t find the inspiration.. 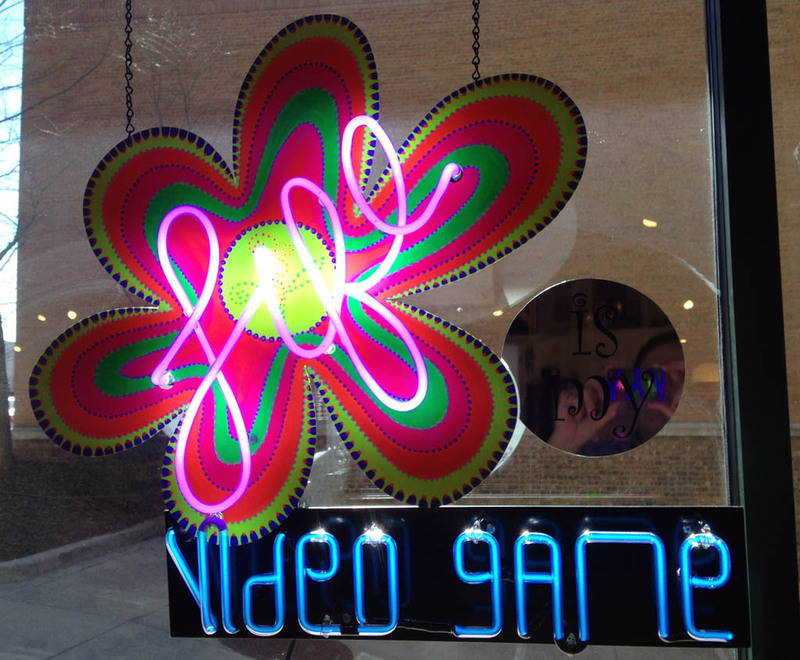 Being on the elderly side of the video game phenom, I didn’t grow up gaming. I made kites, rockets, airplanes, engines, electricity, wood, glue, fire. 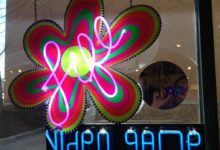 I didn’t live with a digital representation of action, or even an analog one..
Life is first person actual.. That’s where I’ve been..
.. “Life is my Video Game” ..
“life” emits a bunch of ultra violet, energizing the fluorescent pigments of the flower. 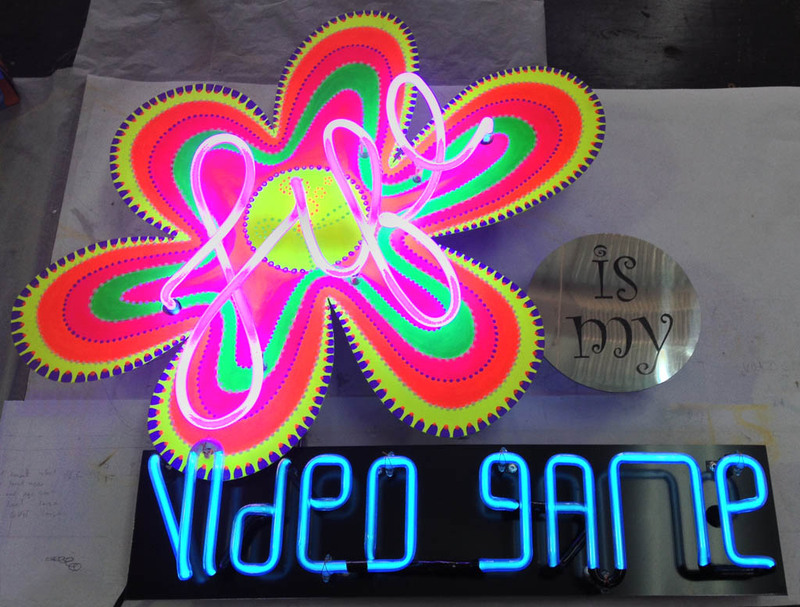 Look closely and see a bazillion dots, many glow in the dark..
“Life is my Video Game” was made in April 2014. Contact me for purchase.